What is the name of the book she's holding?? 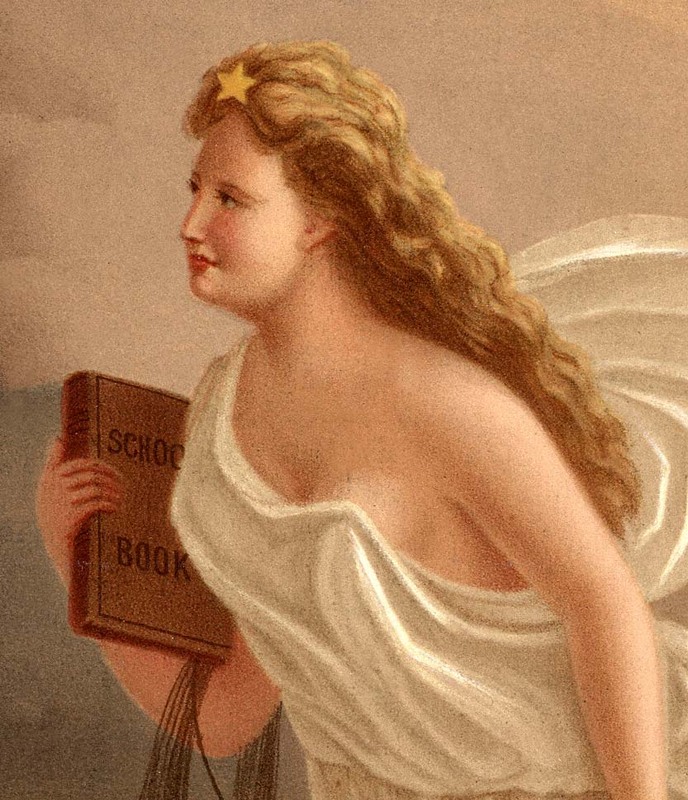 Detail of "School Book." Courtesy Library of Congress.